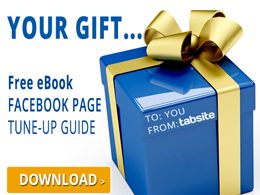 Like-Gate from TabSite - Easy Fan-Gating with Power! TabSite's Like-Gate for Drag N Build tabs exponentially improves upon the existing 'reveal tab' image option for Fan-Gating. The non-fan, Fan-Gating feature allows TabSite users to go beyond just loading an image and allows users complete access to the TabSite suite of tools and widgets to customize a Reveal Tab (fan-gating tab) to display to new visitors who have not yet "Liked" the Page. Like Gate is available to all Gold & Platinum Plan TabSite users and is the recommended solution to create custom content only shown to new visitors. All features of TabSite are available to use in the Like-Gate builder area. NOTE: With Engagement Apps, Like Gate is a image setup in the setup process per Engagement Tab. This means you can add a video if you wish, a special text message, images, or use other widget tools like a PhotoShow for just the Like Gate. This exponentially expands the capability for TabSite users to give a custom message to new visitors via a reveal tab (Fan-Gating). Fan-Gating is setup "per tab", meaning you would need to open a tab in the TabSite Manager and then click "My Sub-Pages" to access the Like-Gate for that tab. This would open a Like-Gate content area for you to add/create the content for your fan-gating Like-Gate for that tab. Open the tab you want to add Like Gate to. Click "Save" to save the page or "Save and Publish" to save the Like Gate content and to make it active. Click on the tab again and this opens the default page for that tab. This is the content area a visitor see's after going through the Like Gate and Liking your page. Finish this content and "Save". Use "Save and Publish" to make this content live. If the tab is not on the Facebook Page, click the Pencil next to the tab name in the TabSite Manager and select "Add to Page" from the drop down. Click "Save & Publish" from the "Save" drop down at any time while working on your Like Gate to save your work and make it active (published). You can also access the Like Gate per tab by going to My Sub-Pages, then "Open Sub-Page" view and "Like-Gate" link is at the top of the box as shown below. This is also where you can turn on/off "yes/no" the Like-Gate to be active or not active. Green light is active, red light is non-active. As shown above, simply Click the "Like-Gate" link to open this "Like-Gate" page where you have access to the full suite of TabSite widgets to build your page that non-fans will see first. Reminder: With Facebook's Timeline there is no default tab setting. We recommend you get the url of your tab with Like Gate on it on your fan page and then use this url on your website, blog, Twitter, and other web assets so that those who click the link go right to this Like Gated tab.